Yes!!! 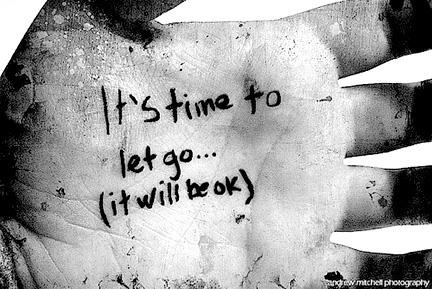 It’s Time to Let Go! Statistics show that women have a tendency to stay in a failed relationship far too long. What reasons do you stay when you know it is over? Are there childhood issues i.e. abandonment, absentee father, afraid child’s father will be a dead- beat dad or low self- esteem? Some women stay because the ring has been purchased, house has been bought and everyone is expecting a wedding. The question is what do YOU really want to do? Can you love, cherish, and commit to this person for the rest of your life? Are you constantly having negative feelings toward your mate? If any of these questions are running through your mind, then it’s time to do some soul-searching. If your relationship is draining, full of drama, destructive or you question your mate’s loyalty, more than likely, it’s time to get off the roller coaster ride. These are red flags and if you continue to ignore them you will be heartbroken and bitter. Some women have superficial reasons why they stay in a loveless relationship: he is wealthy, cute, a good lover and we have fun. You have to think about the long term effects of a dwindling relationship. RATIONALE: Breaking up is hard to do but often necessary. Many people involved in long-term relationships feel they have given up their identity to “fit” into someone else’s mold. The difficulty in breaking up often stems from people being concerned about what others think or they feel the person will change. This creates tension, desperation and insecurity, which bolsters the desire to keep an unhealthy relationship “together.” The reality of a dead-end relationship is you are alone anyway. You have a physical body but an emotionless soul that wants out just as much as you. You need to release yourself from the torment and anxiety of holding on for dear life to a loveless union and allow the right mate in so you can build a meaningful, satisfying and fulfilling relationship. Everyone experiences highs and lows in their relationships. Pay attention to your inner voice and stop ignoring the obvious. Make a list and write down the good and bad points of your failing relationship. Ask yourself what is the ultimate deal breaker? Dispel the thought that it is better to have someone than to be alone. The loss of a significant relationship can be painful but necessary. Written by Gwendolyn Owens, CEO of Relationships Start With You, is a women’s advocate, relationship expert, educator, former blog talk radio host, writer and blogger. Her message breathes life into women who are broken, have low self-esteem and are in toxic relationships. Follow her on Twitter and Like her Facebook page.